Tiger Beer will be hosting a whole slew of viewing parties this whole month at participating outlets. Expect large screen TVs, ice cold beer promotions, games and prizes to be won at their viewing parties. While you're at it, grab a picture with the ‘Tiger Beer ROAR Machine’ and score a goal to win free beer! 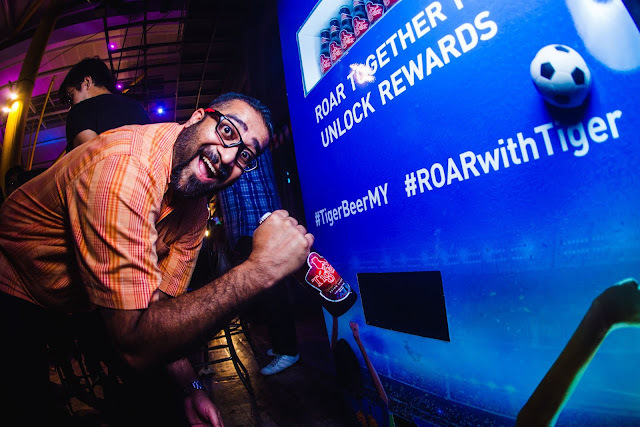 If you're going to be consuming (responsibly)/buying loads of Tiger beer anyway, download the TigerMy app, earn points and redeem exclusive memorabilia such as jerseys, photo frames, football boots and balls which are autographed by legendary football stars. Log on to http://tigerbeer.com.my/roarwithtiger/ for locations of their roving viewing parties and beer promos. Except for the instagram image, all images by Tiger Beer. 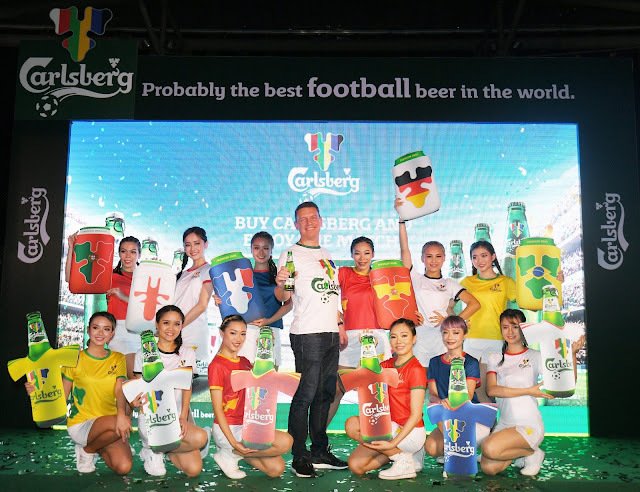 Managing Director of Carlsberg Malaysia, Lars Lehmann, wants you to win lots of stuff from Carlsberg! Receive the limited edition can or bottle cooler sleeve when you purchase your football-themed Carlsberg or Carlsberg Smooth Draught from super/hypermarkets and convenience stores. Play their online game and win an all-expense paid trip to watch a Liverpool FC match LIVE in the UK with a friend at Anfield Stadium! Play “Probably The Best Football Beer Game" and use your football knowledge to predict the scores to win an all-expense paid trip to watch a Liverpool FC match LIVE in the UK with a friend. Win all the World Cup 2018 merchandise (girls not included)! 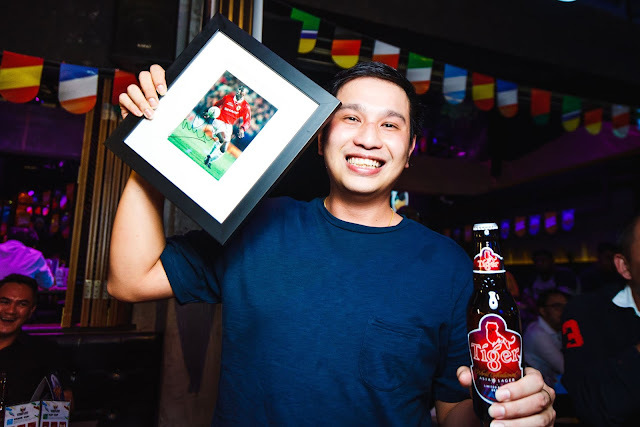 Participate in any of their games at the viewing party (like the “Probably The Best Foot Pong”, nd Football Trivia Challenge) and you could win an exclusive “Probably The Best Football Kit” consisting of jersey, umbrella, limited-edition Carlsberg and Smooth Draught with bottle and can cooler sleeves. 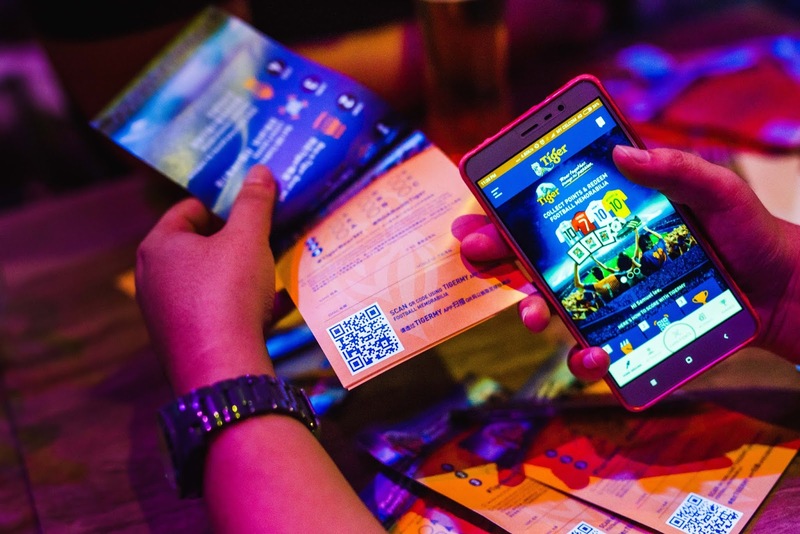 There’ll be Bonus Codes giveaways to earn extra points for the online game and successful participants can also stand a chance to walk home with either a Hisense 39” LED TV or a Vivo V71 Smartphone. Play and win lots of stuff at viewing parties! 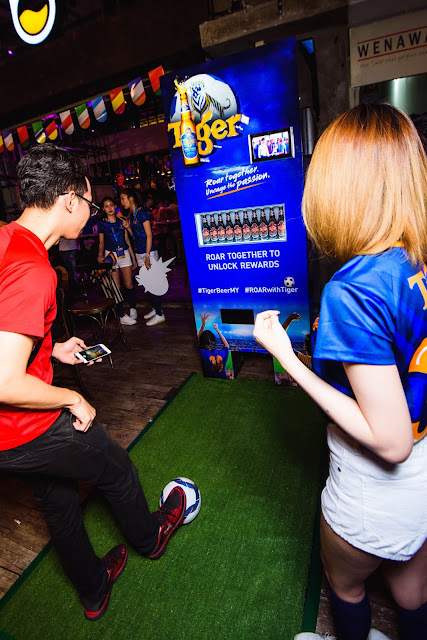 Buy a carton of Carlsberg or Carlsberg Smooth Draught, deliver your best kick and walk away with football merchandise and score exclusive party passes. If you're a hoarder, you could also collect the limited-edition cans and bottles featuring flags of Brazil, Germany, Spain, England, France and Portugal.